Greetings, loyal readers! Today marks the beginning of a new weekly series, This Week in Tokusatsu, here at Toku Toy Store! Each week, we will be spotlighting events from Tokusatsu shows and movies, summed up in a more broad way than our older episode reviews. Stay tuned here each week for news, previews, and reviews! For this first edition, we have a lot of ground to cover with more to come. 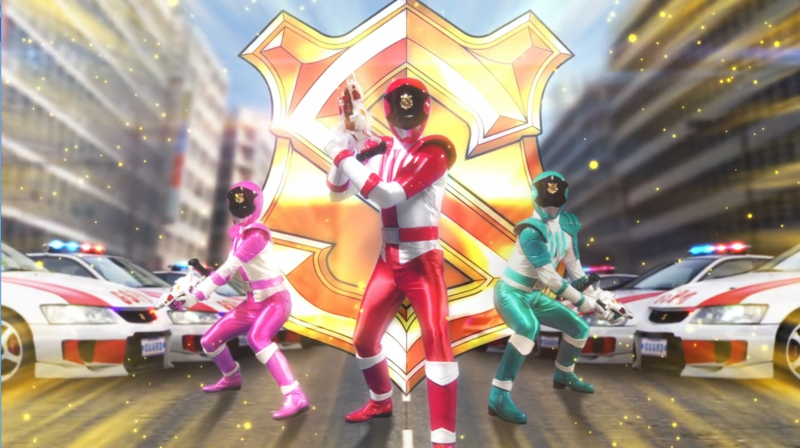 Lupinranger vs Patoranger has entered its final arc, and though the pacing is inconsistent, the show is going strong! Meanwhile, Kamen Rider Zi-O begins to pick up steam with the Gaim arc coming to a close, and new trailers have debuted for Ultraman and Godzilla: King of the Monsters. Let’s dive in, shall we? Our heroes face off against the Gangler general Destra this week, and find themselves trapped in the Gangler world, which is something akin to Britain or France, draped in purple fog and eternal darkness. This is where we start to see the politics within the Gangler organization take shape in a meaningful way, as well as learning the true power that comes with a Status Double Gold designation, for someone like Destra. The episode treats us to some really well-done action pieces, even if the isekai plot thread is resolved a bit too quickly. Once again, we’re starting to see Tsukasa put the pieces together that maybe the Jurer trio are more than they appear to be, but again the show holds off on the reveal. With just eight or nine episodes left before the end of this series, the reveal is coming up fast, and the final arc appears to be where the teams will have to truly come together. The preview for the next episode shows Tokyo in ruins, and Ganglers rampaging, as the heroes look on. The stakes are high and we won’t have to wait long for the payoff. This week, Zi-O’s Gaim arc concludes, and we get to see a bit more of the spectacle that comes from having two Sougos, separated by a time interval of three days. It’s mostly played up for laughs in the beginning, but does end up becoming a crucial part of the endgame plot. Along the way, we get new character insights into most of the main cast, but the main bulk of the character growth comes in the form of Geiz’s willingness to trust Sougo with another Ridewatch, and the power of Gaim. It’s a powerful moment, driven by the lecture Geiz gets from returning actor Yutaka Kobayashi (Kamen Rider Baron/Kumon Kaito). Next up, we will be treated to what appears to be a thoroughly packed arc, including appearances by Ghost, Decade, and Agito, with Decade appearing as a primary villain, if the trailer is meant to be taken at face value. A glimpse of Another Ghost reveals that the next Another Rider is more horror-themed, more demonic in appearance than his contemporary counterpart, and we also see that Sougo’s meeting with Takeru leads to him becoming a ghost as well. Does this mean one of the Sougos will die? Only time will tell. Earlier this week, Netflix debuted the first trailer for the long-awaited anime adaptation of the Kodansha manga Ultraman, which serves as a sequel to the original series. The art style has been a bit alarming for some, with much of the 2d/3d CG drawing parallels to the much-maligned Berserk continuation from 2016. The story follows a new Ultraman, the son of the original, and appears to be set in the modern era, rather than the 1960s setting of the original series. Another large detail is that this series will ignore all Ultraman continuity after Ultraman season one. Look for Ultraman to debut in April 2019 on Netflix. The second international trailer for Godzilla: King of the Monsters debuted this week, and gave us our best look yet at the upcoming Kaiju. Rodan, Mothra, and even (through fog) King Ghidorah himself were on display in the new trailer, while the story of the human characters was expanded on a bit further. As hype for this film continues to build, Legendary Pictures’ Monsterverse comes together, with this third film slated to open the floodgates to Western Kaiju fans and casual viewers alike. Who knows what will come next? Maybe a cameo from MechaGodzilla? A crossover with Pacific Rim? Only time will tell, but expectations are high and excitement continues to mount as we approach the 31 May 2019 release of this film. Looking for Jinga and Ultraman R/B? Check back soon as these shows become available and updated! What was the highlight of your tokusatsu week? Join the discussion on social media!